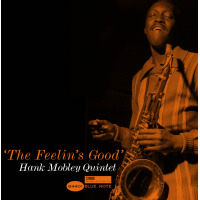 As a tenor saxophonist, Hank Mobley committed the cardinal sin of not adhering to any established stylistic aesthetic, for all of his association with the hard bop idiom. 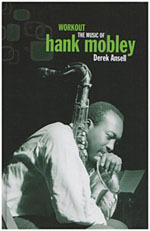 Author Derek Ansell rightly makes much of this in his book, the first to be devoted to Mobley. For if jazz is an art form in which individuality is valued, then Mobley is an example of how this is sometimes not the case. Indeed, as Ansell cogently argues, it might have been one of the major factors in the saxophonist's undoing. 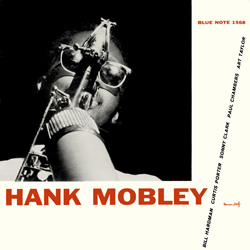 In the course of his life, Mobley apparently had some grievance against the Blue Note label, the company that more or less single-handedly documented his career on record, over the number of his sessions that they shelved. Ansell steers a diplomatic course through this possibility, at the same time as he more than justifies the book's title through his discussion of the music that's now available to us. Ansell's reiteration of this makes at times for slightly repetitive reading, but he succeeds in making the reader go to the music, which as much as anything else is surely the purpose of the book. Furthermore, given the sparse coverage that Mobley received in his lifetime, even in the jazz press, a fact underscored by his reticencehe gave only three press interviews in his lifeit is perhaps inevitable that Ansell uses the music as the principle means for discussion. Ansell, however, arguably makes too much of this in his suggestion that it would have taken no more than a few better turns of fortune for Mobley to have enjoyed more exalted status. Surely it was more the case that the enormous cliche that wasand arguably still is"the jazz life" was the one that Mobley led through the straightforward expedient of putting out his own highly personal brand of the music in the only way he knew? Ansell acknowledges this possibility, even though he doesn't perhaps take it into sufficient account. That said, it has to be observed that Ansell was faced with trying to strike a balance between two highly unequal considerationsthe music and the lifeand it's not surprising that he stuck with Mobley's music as the focus for discussion. In that regard, the evident lack of assertiveness in Mobley's personality, as conveyed via his tenor, rendered him ill-equipped to compete in a competitive society. This fact is enough to render Mobley enigmatic. It's to Ansell's credit then that he manages to fill in some of the gaps, despite the near-absence of any day-to-day biographical detail in the course of the book. As Ansell rightly points out, Mobley's music is in 2008 more available than ever. Together with this book, that affords us a picture of a deep yet resolutely unassuming musical personality.